More than 200 pedestrians and cyclists were killed by cars last year in New York City, and only seventeen of those drivers faced criminal charges, a fact that has not gone unnoticed by transportation activists, the press, and the City Council. 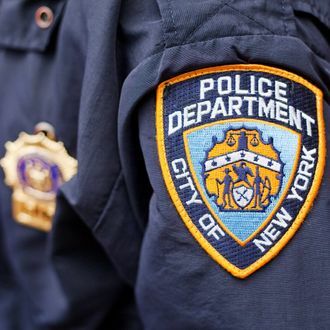 At a hearing earlier this year, the NYPD explained that the 23-person Accident Investigations Squad is only required to look into a crash when a victim dies or is deemed likely to die, resulting in no criminal charges in nonfatal accidents throughout 2011. In the case of Clara Heyworth, who was killed crossing the street last summer, an investigation didn’t begin until three days after her death, leaving crucial evidence lost. Now her husband is suing. Her story, along with that of cyclist Mathieu Lefevre, demonstrate that, “Even in the prosecutor’s office, you have what I call murder snobs,” one former prosecutor explained. Lefevre’s mother had to fight to even have details of the crash released, and her case, along with the Heyworth tragedy, have resulted in ramped up concerns about the small, ineffectual unit. “Everyone thinks they live in a city where roadside accidents are investigated,” Heyworth’s husband explained. “It was staggering.” Now, at least, he has the department’s attention.